MOSCOW, July 28. /TASS/. Russia's intelligence service, the FSB, detained seven individuals of Central Asian origin on suspicion of plotting terrorist attacks in St. Petersburg, FSB said on Friday. 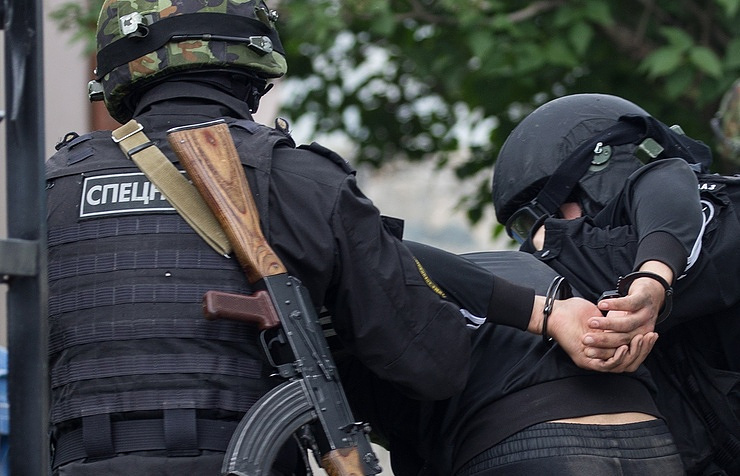 "The Federal Security Service on July 28, 2017, detained a group of seven people, who come from the Central Asian region, as they are suspected of plotting terrorist attacks at St. Petersburg's railway transport and public places," FSB said. An investigation is currently underway and the FSB did not identify the detainees. On July 27, First Deputy Prosecutor General Alexander Buksman said 12 terrorist attacks were prevented in Russia within six month - at the plotting and attempting stages. One terrorist attack was carried out, he noted, on St. Petersburg’s subway system on April 3. The blast claimed 14 lives, leaving more than 50 injured.